All done, I did it!! 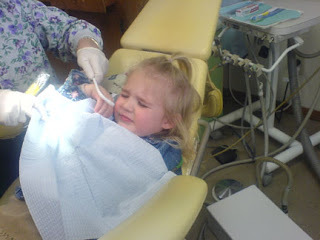 Lexie had her first appointment with the dentist on Thursday. 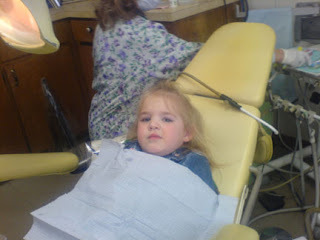 She was so excited to finally go to the dentist like the boys have for the past couple of times. 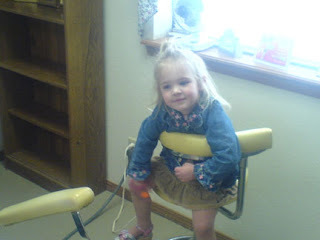 Our dentist is this little cute old man named Doctor Wallis. He still has all the old equipment, but he is so nice and so gentle with the kids. 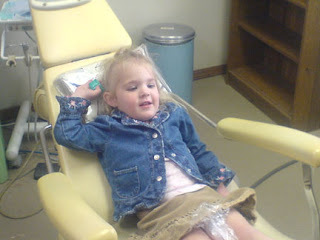 The hygienist just loves our kids and gives them all kinds of presents. 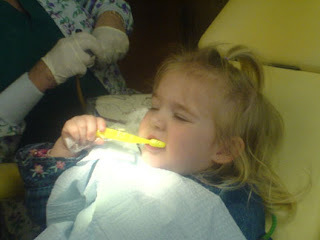 Lexie was really excited at first, but when the suction came into play she was all done. 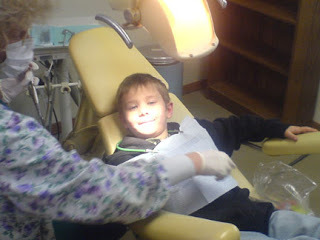 Logan had an appointment as well and he always does so well. He holds still and his teeth are beautiful. Except he grinds his teeth at night and they are really wearing down. 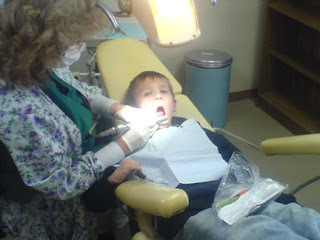 Good thing they are his baby teeth. He also has his first loose tooth in the front and he is so excited about that. 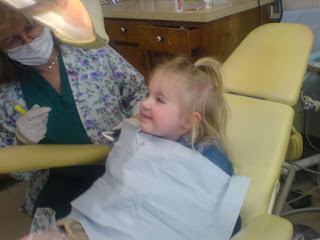 I also had my teeth cleaned and once again had no cavities. I have never had to get one filled by him yet, and he did not forget to point this out. 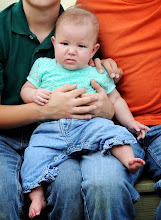 I think Corey might be a little jealous.